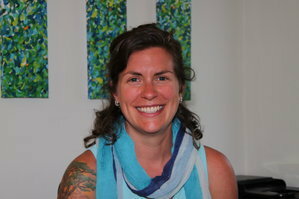 Laura Grant graduated from the Canadian College of Naturopathic Medicine (CCNM) in 2004. Prior to attending CCNM, Laura graduated from McMaster University with an Honours Bachelor of Science majoring in Biology. Upon graduation from CCNM, Laura set up Naturopathic Perspectives with a fellow classmate, and began practicing in Hamilton. At the end of 2011, after seven years of living and practicing in Hamilton, Laura and her family made the brave move to Orillia to build their dream home and live closer to the outdoor activities they love. Laura spends much of her time outdoors either in the garden tending to medicinal herbs and vegetables, on a mountain bike or ski trail, or out on a lake canoeing. Laura enjoys volunteering time at her daughter's school. Laura has a family practice and specializes in women's and children's health. She is an empathetic practitioner who prides herself in her eclectic practice. Laura believes in using a combination of attentive questioning and listening, clinical examination and laboratory studies to assess her patients. She provides her patients with a detailed explanation of their treatment plan. Chronic: Auto-immune conditions, Arthritis, Digestive Concerns such as irritable bowel, diverticulosis, heartburn, Allergies, Skin Conditions, Fatigue, Prostatis and Erectile Dysfunction, Atherosclerosis and Hypertension. Women's Health Concerns: PMS, Uterine Fibroids, Ovarian Cysts, Fibrocysitc Breast Disease, PCOS, Infertility, Menstrual Irregularities, Cystitis, Pre-, Peri- and Post-Menopausal Concerns, Cervical Dysplasia, Preparing for and Enhancing Health in Pregnancy, Post-Partum Depression. Children's Health Concerns: Allergies, Asthma, Eczema, Bed-wetting, Headaches, Belly-aches, Infant Food Introduction, Vaccination Information, Childhood Nutrition. Other Concerns: Anxiety, Depression, Mood Disorders, Weight Concerns, Athletic Performance and Sports Injuries, Insomnia, Mental/Physical Stress.